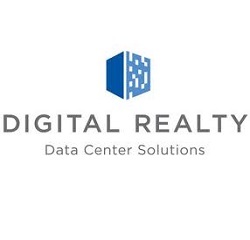 On Thursday, March 1 the Board of Directors of Digital Realty Trust Inc. announced a quarterly dividend increase of from $ 0.93 to $ 1.01 per share that’s payable March 30, 2018 to holders of record March 15, 2018. This represents a 8.60% increase to regular quarterly dividends. With current price $ 107.99 (Friday's close), this raise brings their dividend yield to 4.11%. "Our board of directors has approved an 8.6% increase in our quarterly common stock cash dividend to $1.01 per share, reflecting our expectation of continued growth in cash flow," commented Andrew P. Power, Chief Financial Officer. "This marks the 13th consecutive year we have grown our dividend, and we are pleased to be among a select group of REITs to have raised the dividend each and every year since our initial public offering in 2004." Since I own 120 shares of DLR, this will increase my portfolio's projected annual net dividend income by $ 28.61. That increase rises my YOC to 8.46%.